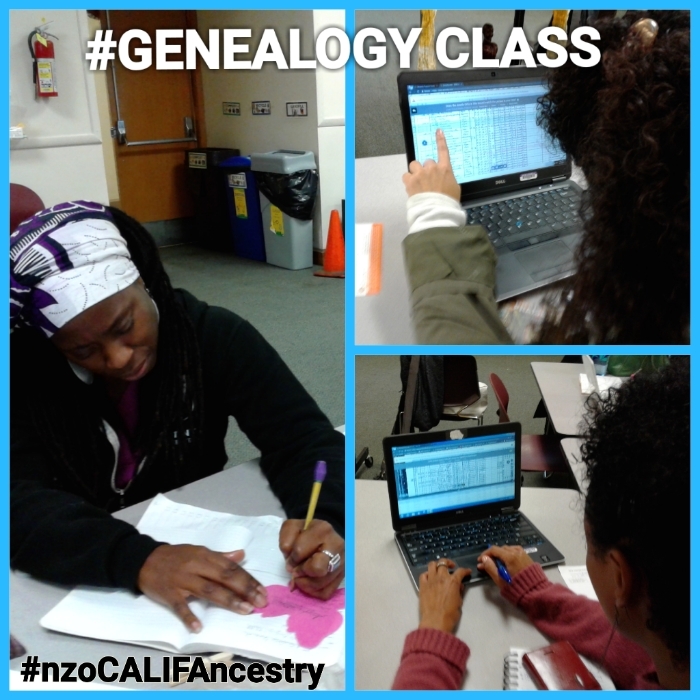 @nzoCALIFA - "Give Praise to Life" I conducted my first #Genealogy kinship class at the Oakland Public MAIN Library, Sunday, November 5th 2017. [Thank you Daddy"Stuff"] And although this Free session was scheduled from 3:00 pm to 4:30 pm, do you REALLY think folks left once the Ancestral whispers turned up?! Nope! In full volume attendees gave voice to their Ancestories giving way to their honored presence, Egun iba'se. We began the session taking a look at the path of a butterfly and it's symbolic meaning of transformation, representing a Soul's journey through life and death. 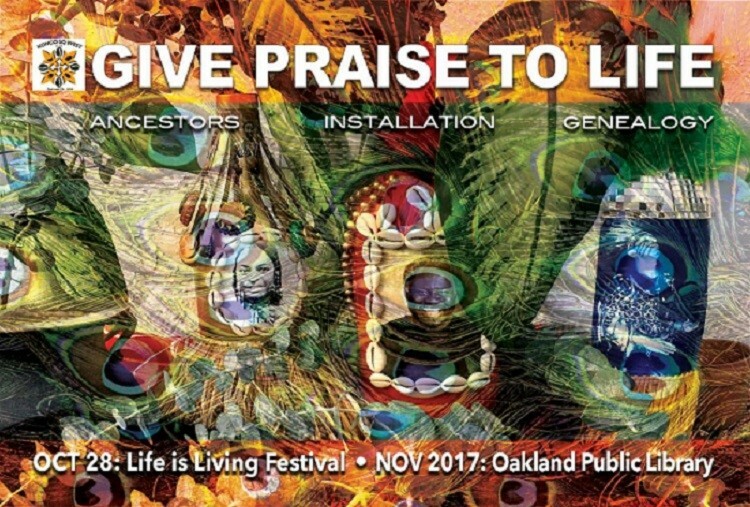 Inspired by a recent Communal healing initiative at West Oakland's Life is Living Festival powered by Youth Speaks, I served as Lead Artist and Curator for the Malonga Center Community Ancestral Altar Installation. Teamed with a devoted crew, this vision was Co-commissioned by Adande M'baye and Delina Brooks co-creators of the Africa Is Oakland - Dance Zone, devoted students of the Malonga Casquelourd Center for the Arts and Alumni of Fua Dia Congo Performing Company. We were privileged to install around a majestic tree that had a commanding presence at the crack of dawn on Saturday, October 28, 2017. West Oakland's historic Defremery Park aka Lil Bobby Hutton Park became a creatively potent sacred portal that housed the first installation of its kind, beginning with Ancestral prayers, songs for Egun and rites conducted by Oakland's Omnira Institute. Staunchly attended, the altar installation was made accessible to the public from 10:00 am to 7:00 pm for Communal engagement, offerings, sharing of stories and tears, with so much history exchange worthy of libraries of preservation. These works extend itself to a "Library Edition" that is now installed at the Oakland Public Main Library for the Month of November, with on-site teaching lessons and two free Genealogy workshops for the public, #RiteOn. So to advance this first Genealogy/kinship session, we began speaking about Ancestors as more than a notion, but more about them being a working body of Spirit living through us, more notably our Familial Ancestors: the ones you know, those who may or may not know you, or blood relations who claim you even upon ascension into the Ancestral realm. 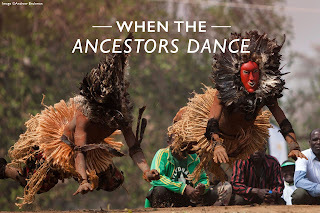 Continuing to draw from African Spiritual traditions of Yoruba/Ifa/Lucumi, libations were poured for our Ancestors, and in call and response fashion we all named our own, as devotees proclaimed iba'se - giving praise to our Ancestor's lives with ase'. This special group of folks was a good catch from my #Genealogy net. And what did we end up having in common? A "Malonga story" and Ancestors of course. 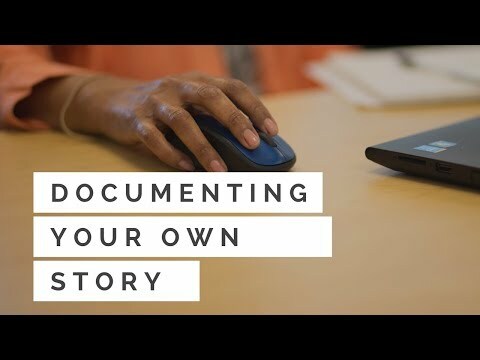 My cohort Janeen Johnson came prepared with laptop prepped, Ancestry.com Family Tree booted and Family History chart primed -- just READY. Delina Brooks was already excited about furthering her sojourn to unearth her Family History; she is a gifted Writer, Performance Artist, Storyteller and Producer and I imagine that her next Artistic episode most definitely will be Ancestor-imbued. Delina fills the room with laughter reminding Sister Janeen of being a witness to her first Malonga encounter at San Francisco State as Janeen was Ta Malonga's student assistant, back in the 90's. Today we are ALL, proud and dedicated Alumni of Fua Dia Congo Performing Company together spanning nearly 30 years. In a united mission, we continue to share vision through the Malonga Center Community Ancestral Installation initiative by ushering healing through remembrance of our beloved transitioned, while preserving their stories. Interesting enough, this session was filled with #Dance agents and agencies; As I believe that Dancers and Drummers are perfect subjects as mediums for movement, they are all important mediumship service agents in transcending Ancestral healing within their own Family and the Community as well. Researched on OPL's Ancestry.com Library edition, FREE for public service. @nzoCALIFA - Fully engaged in multi-dimensional works of #Dance service and movement initiatives serving to elevate Spirit that facilitates Communal and Ancestral Healing. 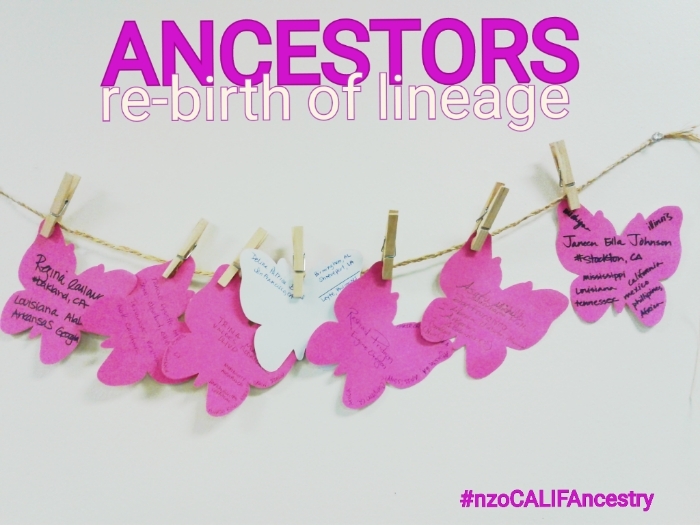 Current works have been an intersection of bringing forward Genealogical field research modalities to Bay Area events and gatherings that allow interactive dialogue about honoring our Ancestors. 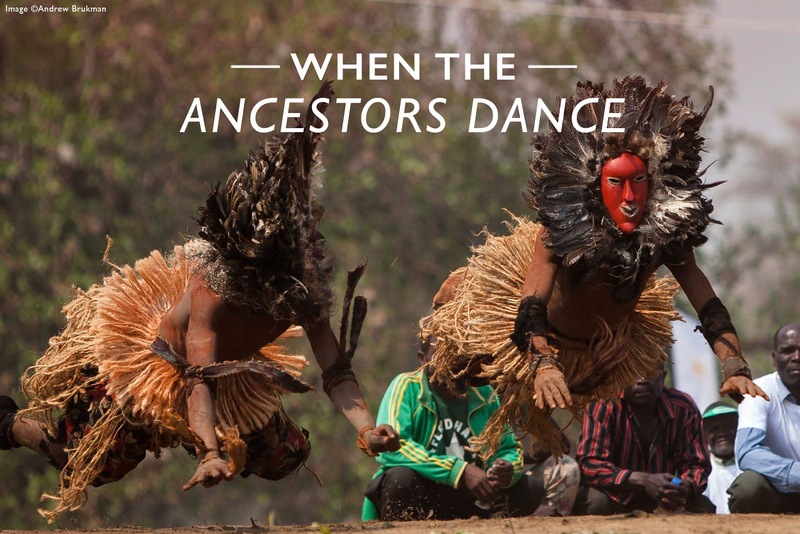 Speaking of our Ancestors not as an ambiguous term, but from a place of knowing -- and KNOWING more than just their name, but learning about their story. 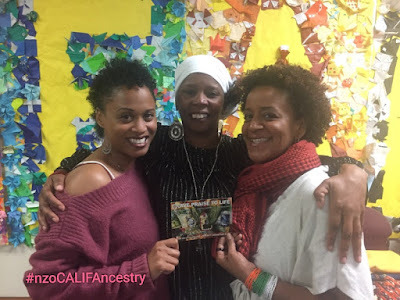 #nzoCALIFAncestry is a culmination of a Dancer's sojourn with a deep Ancestral pact, yet recognizing the many members of "tribe" with special focus upon the Bay Area African Dance and Drum Community, who in shared kinship Love, cultivate, trained, and have built with a united interest to prosper our Community. Ultimate Clean Sweep, MJ's Brass Boppers New Orleans style "Secondline"